Our Kindersley area Chevrolet Buick GMC dealership evolved into what it is today, thanks to our team’s passion for General Motors vehicles. The Kindersley Mainline team not only provides the best customer service, but also a terrific selection of new and used cars, trucks and SUV’s on the market. All departments, from our new and used sales staff to our finance department – to our Certified Service center, are ready to serve our customers with our standards of excellence in the Kindersley area, near Rosetown and Kerrobert, SK. 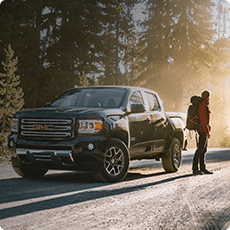 Kindersley Mainline is your premier Chevrolet dealership in the Central Saskatchewan offering the latest Chevy cars, trucks and SUVs. Showcase your personality with the truck of the century, the dependable Chevrolet Silverado 1500. Count on the Chevy Silverado at farms and on work sites across Saskatchewan. We’re excited to also offer the Chevrolet Trax, Traverse and Equinox, a crossover that offers a great combination of size and fuel efficiency. While the Chevy Tahoe and Suburban still dominate the roads. 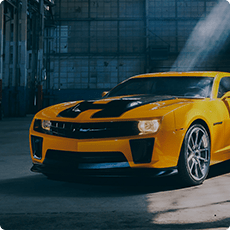 We also offer a full lineup of cars, including the Chevrolet Cruze, Impala, Malibu and for those demanding performance, the Chevrolet Camaro. Kindersley Mainline offers a great selection of Buick SUVs and sedans for every lifestyle in Saskatchewan. From tight spaces to crowded streets, the Buick Encore is a compact SUV that fits in perfectly while turning heads. The Buick Envision mid-size SUV features a sculpted, assertive design that deserves a longer look. For drivers that desire a full-size luxury SUV, the Buick Enclave delivers dynamic style and sculptural beauty. 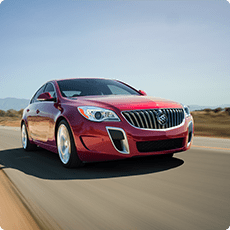 Buick also offers two exciting sedans, the Buick Regal Sportback and the LaCrosse. Both designed with beautifully sculpted proportions and a sleek, modern design. 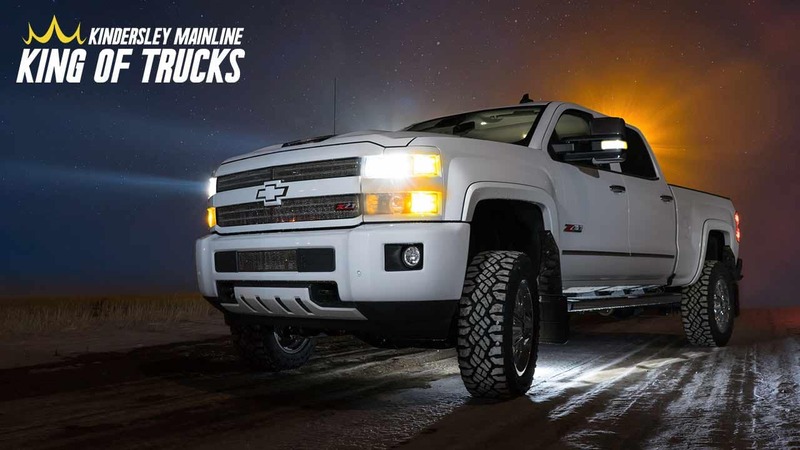 Kindersley Mainline is your source in Central Saskatchewan for the latest GMC Trucks and SUVs for every lifestyle. The GMC Sierra 1500 has long set the standard for capability and refinement. For drivers requiring maximum capability, look no further than the GMC Sierra HD. The GMC Sierra 2500HD and Sierra 3500HD are available with our most powerful 6.6L Duramax Diesel, ever. The GMC Terrain is a compact SUV and mid-sized GMC Acadia deliver outstanding utility to handle the varied demands of your lifestyle. Our full-size GMC Yukon and Yukon XL continue to make a powerful impression with its confident lines and aerodynamic proportions while setting new standards for large SUVs. The Certified Service Team at Kindersley Mainline wants to keep your new or used vehicle running like new. Our highly-trained technicians at our certified service center can fix any auto issue in a timely manner. 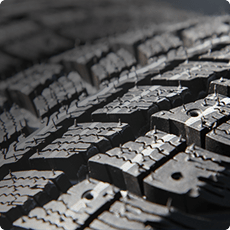 Our service team provides maintenance, oil changes, tire rotations to keep your vehicle in like-new shape and have you back on the road in no time. Visit our Certified Service Department today or save time and schedule your maintenance or repair an appointment online. Check out our service & parts specials for money saving coupons! Trusted automotive maintenance and repairs for all makes and models in Kindersley, near Rosetown and Kerrobert, SK.